Cumbria and the Lake District is home to some of the most famous walking routes in England. The Coast to Coast route often called C2C starts from the west coast at St Bees and heads eastward through Alston, England’s highest market town. Scafell Pike, England’s highest mountain, has many routes to it’s summit, catering for walkers of mixed abilities. For many walkers who visit the area, the Wainwright walks are their challenge accompanied by his hand drawn, illustrated guide books. If you are looking to explore the area on foot Golakes has a selection of walks for all abilities. Using the search below you can look for walks that meet your requirements. We also have some lovely walks leading directly out into the countryside from you cottage door. 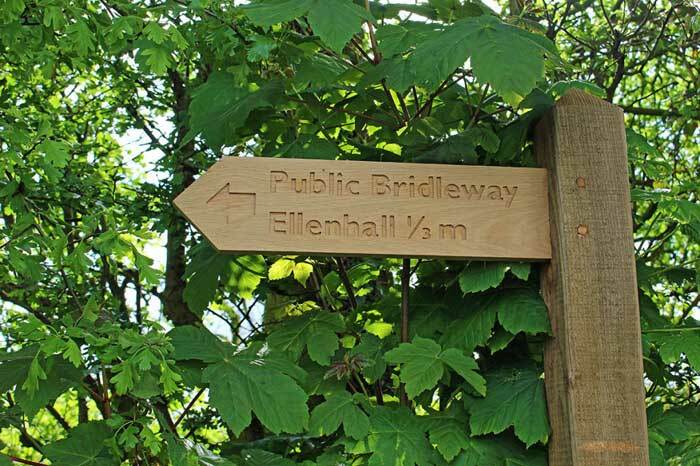 Take a round circuit from Ellen Hall, walking through quaint green pastures and woodland, cross rivers and becks and enjoy the flora and wildlife on your way. Our beautiful village of Gilcrux (named after the bubbling springs and gills that flow and merge within it), enjoys lovely views across the rolling countryside and the Solway Firth to Scotland. We are happy to recommend you places to explore during your stay, even give you a map for any particular route. Just ask us for details……we enjoy helping our guests to have memorable walking holidays. The route then travels through the Yorkshire Dales National Park, the North York Moors National Park, heading towards Robin Hood’s Bay on the East Coast of North Yorkshire. It is suggested that you buy Alfred Wainwright’s classic pictorial guide to give yourself a feel for the walk and experience some of the writer’s unique authority; then as your day-to-day guide, choose one of the more up-to-date writers who have followed in Wainwright’s footsteps and revised the essential information. Walking holidays in Cumbria offer some of life’s great pleasures. The Lake District is one of the United Kingdom’s most visited tourist attractions; idyllic walking country, mountains, rugged hills and of course, the lakes make it a fantastic landscape to explore on foot. The Lake District National Park lies completely within the Cumbrian region and interestingly is home to all land higher than 3000 feet above sea level in England.